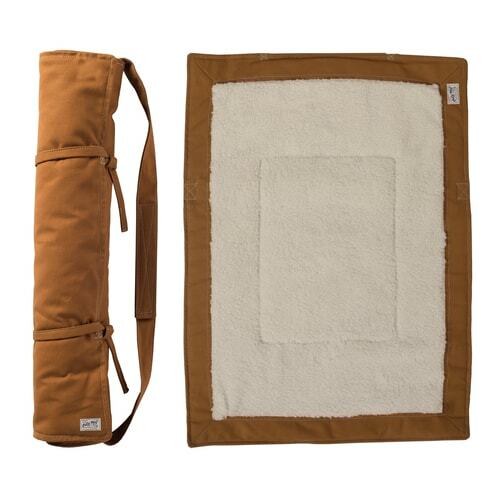 Hit the road this summer with your best friend and our new travel mat. Rolls up for easy storage and packing. 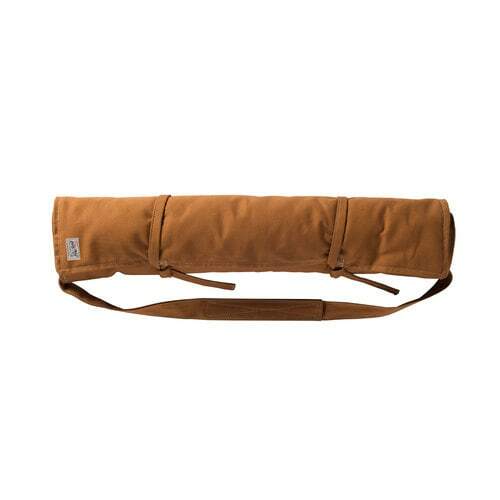 Features a back strap to attach to your car seat, or lay flat when you reach a comfortable place to rest. 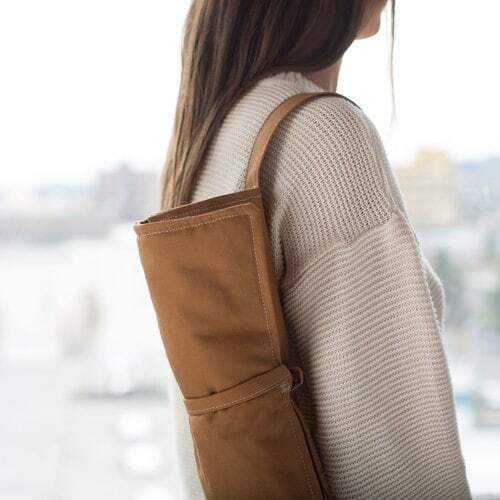 Made with a sturdy khaki canvas bottom, and comfy faux sherpa top.